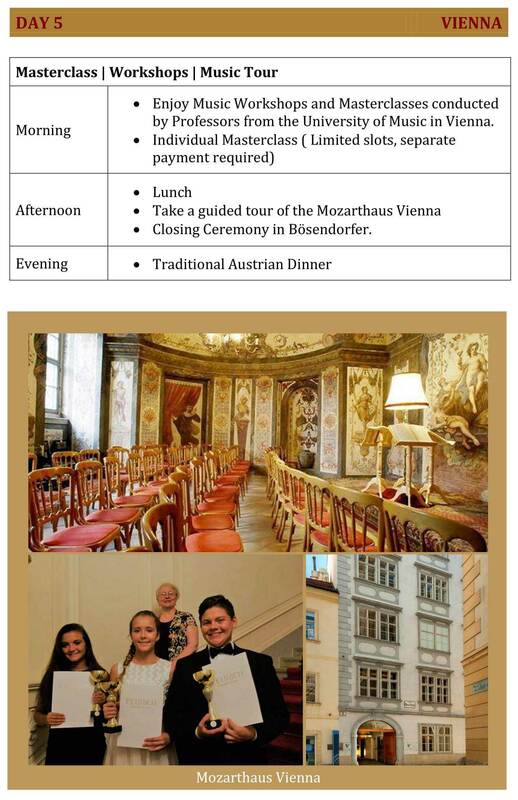 Each year Vienna Virtuoso Festival includes a rich variety of musical, artistic, and cultural experiences in addition to its Winners Recital and Awards Ceremony. 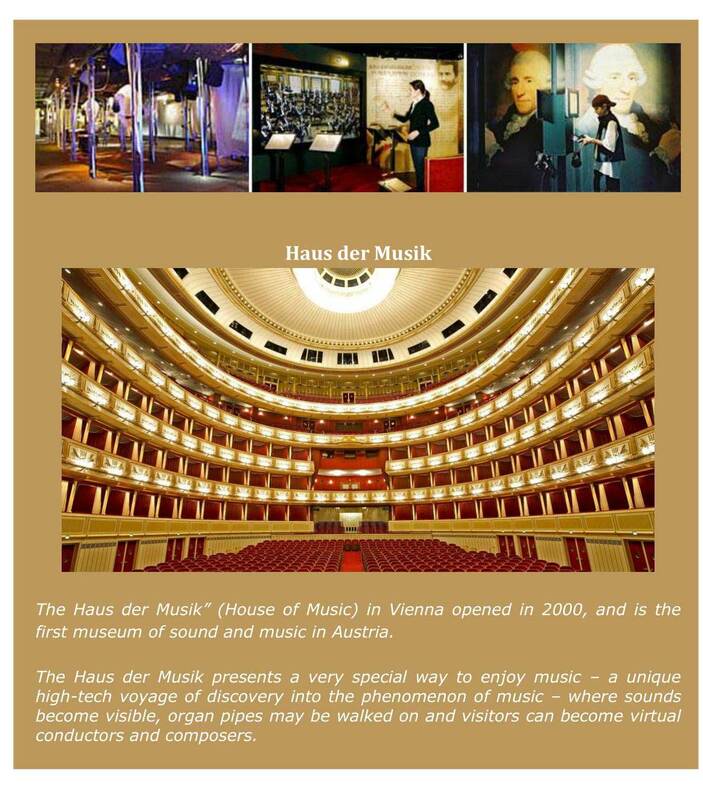 The combination of great music, beautiful historic surroundings, and the company of people who share a dedication to music makes for an unique and unforgettable time. 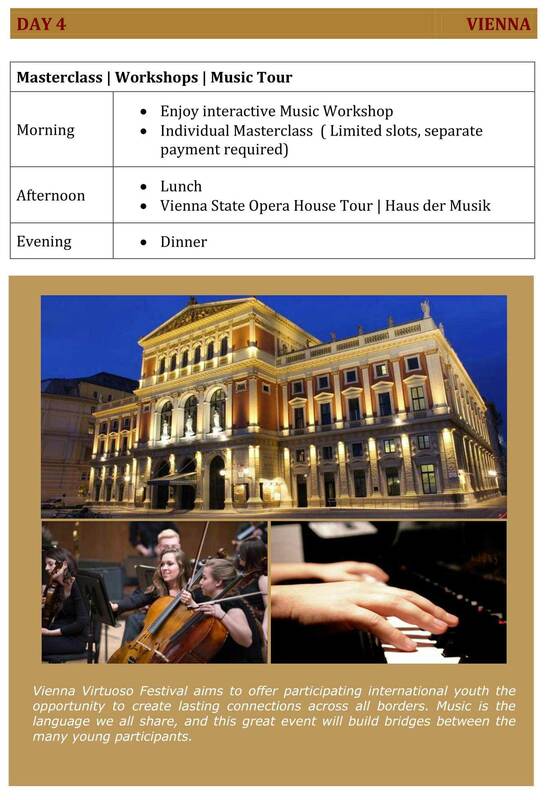 Winners of Vienna Virtuoso Festival are invited to make the best our of their Europe tour by joining the 9 days Vienna Virtuoso Festival Academy and Tour. 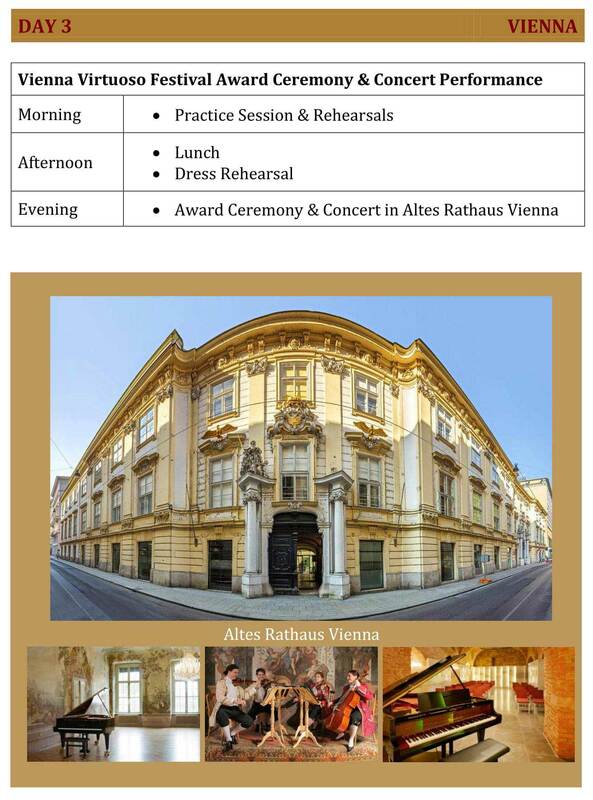 The Academy is a great opportunity to participate in unique Workshops and Masterclasses conducted by Professional Master teachers from Vienna’s University of Music. 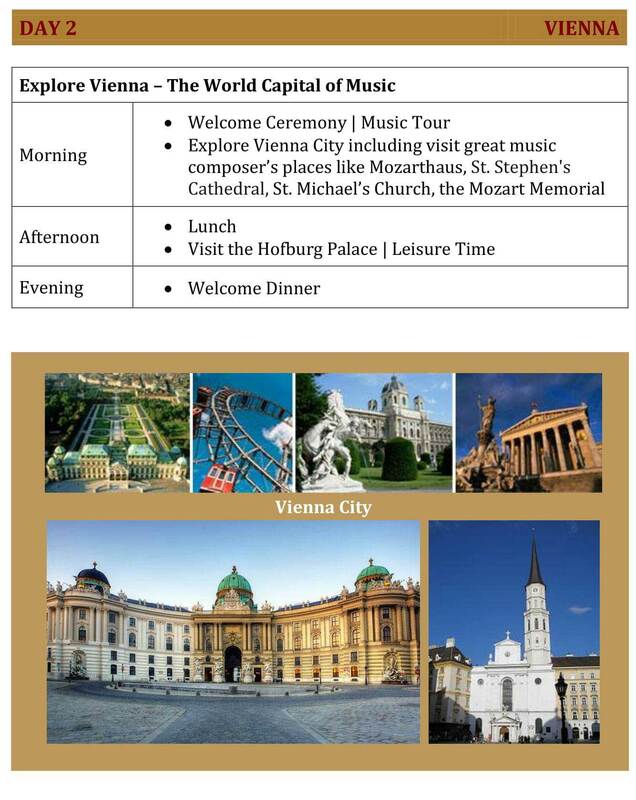 We offer a multitude of options to broaden your musical experience in Europe. 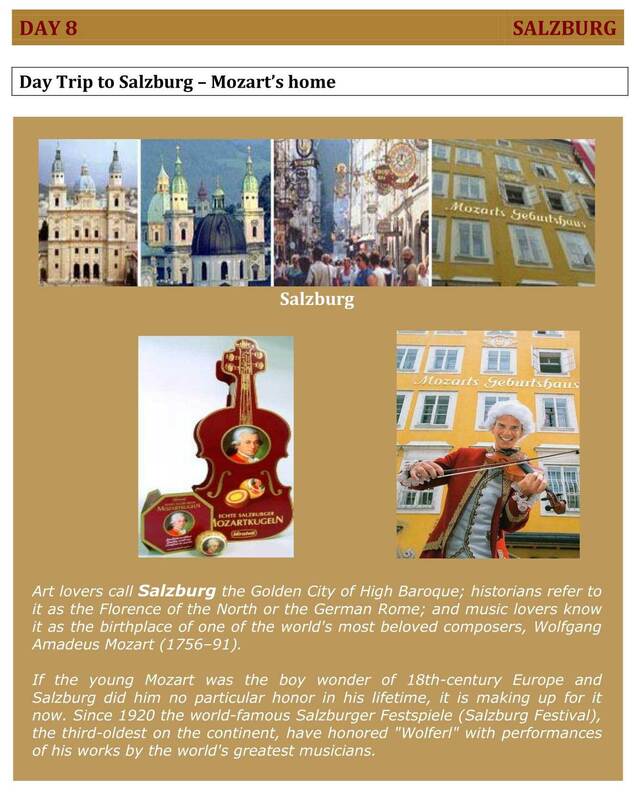 Expand your Music-Tour and visit beautiful Budapest and Salzburg too! 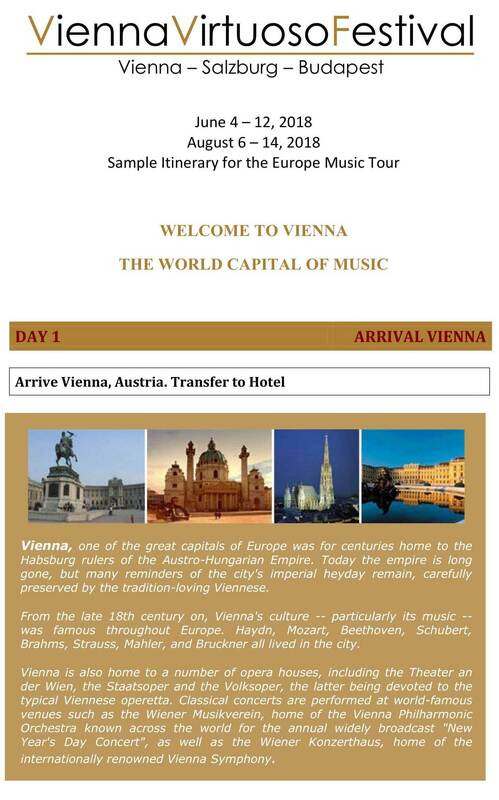 The tours are boutique designed for Vienna Virtuoso Winners to include many special music-inspired visits. 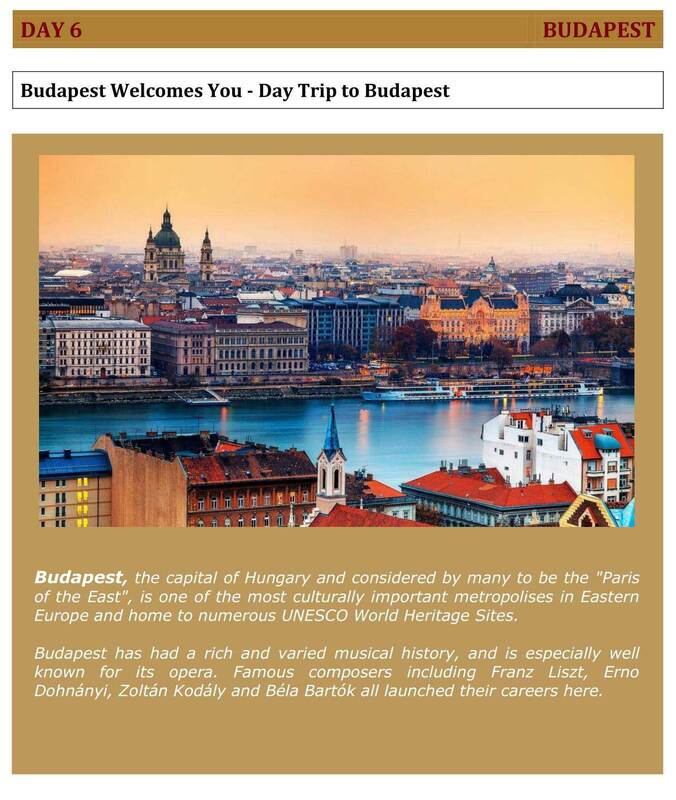 Together with Our Travel Partners we ensure that you will experience a unique Music Europe Tour. 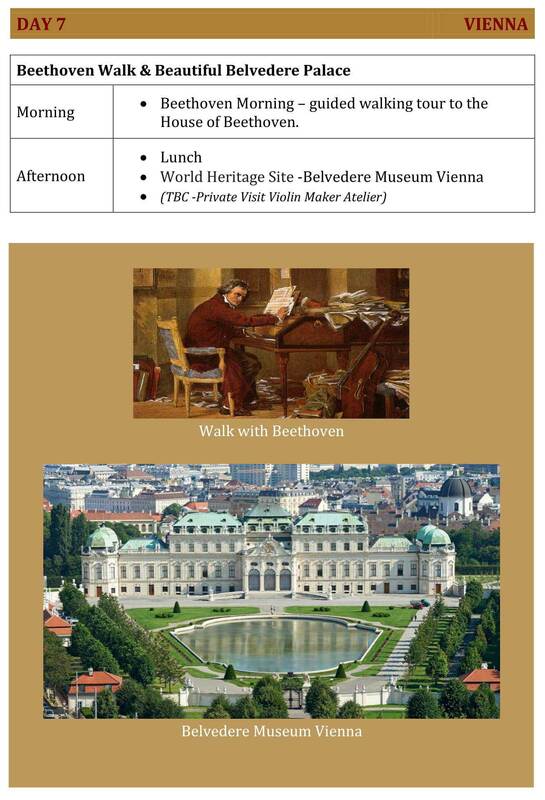 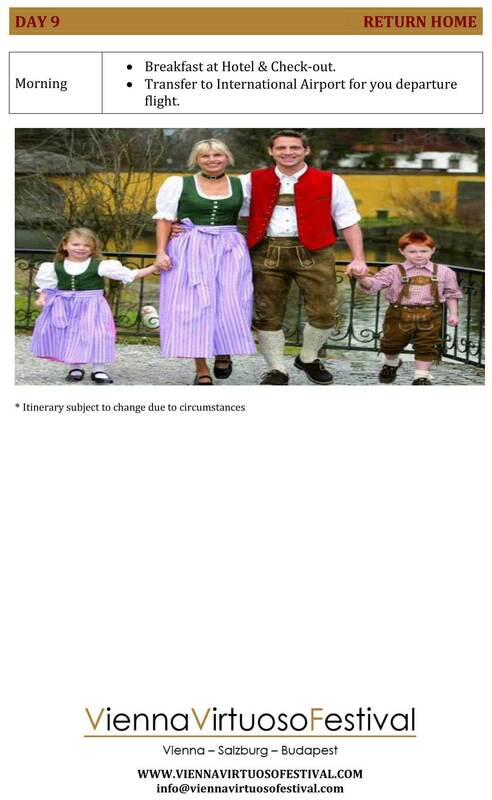 Email for more details at info@viennavirtuosofestival.com.